A wave plate or retarder is an optical device that alters the polarization state of a light beam traveling through it. 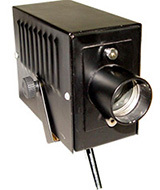 In the present setup, halogen light source with yellow light filter passes through a polarizer to produce linear polarized light. This polarized light then falls on a quarter wave plate L/4. The emergent light passes through analyser. It is investigated at different angles of L/4 plate ( 0°, 30°, 45°, 60° and 90°) between the optic axis of the wave plate and the direction of the incident light. 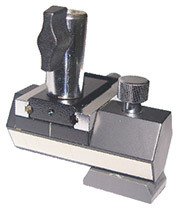 The light intensity can be investigated with the analyser over the range -90° to +90°. 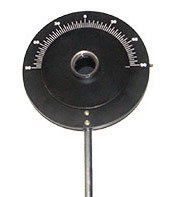 At 0° and 90° of L/4 with respect to optic axis, the transmitted light is linearly polarized, at 45° it is circularly polarized, and at 30° and 60° it is elliptically polarized. Computer is not supplied with this setup.